I recently discovered that grapes, more specifically, a special ingredient in grapes, can actually help your face retain a more youthful appearance and diminish fine lines and wrinkles. I have known for a long time that different kinds of fruit have antioxidants in them that are good for the skin and one of the antioxidants that are found in grapes and red wine is Resveratrol, which is a powerful antioxidant that can help slow down the aging process and prevent the formation of wrinkles. Vine Vera is a company that has researched for years how Resveratrol benefits the skin and created a day cream that has a high concentration of Resveratrol in it. The cream comes in a beautiful 1.83 oz jar container and is made with a unique blend of ingredients that help to slow down the aging process and is formulated to work with all skin types. The only other ingredient that I wish the day cream contained is sunscreen. I usually need to apply a sunscreen with a high SPF after applying any moisturizer or day cream to my face. On freshly cleaned skin, simply put a little of the day cream on your finger tips and apply it on your forehead, nose, chin, cheeks, then gently massage the cream into the skin in an upward motion. Even though the Vine Vera Day Moisture Day Cream does not contain a sunscreen, it is still an excellent product and can be a wonderful benefit for all skin types. I highly recommend this product to anyone who is looking for a high quality day cream that is effective in keeping and maintaining a more youthful appearance. See, feel, and experience the difference. 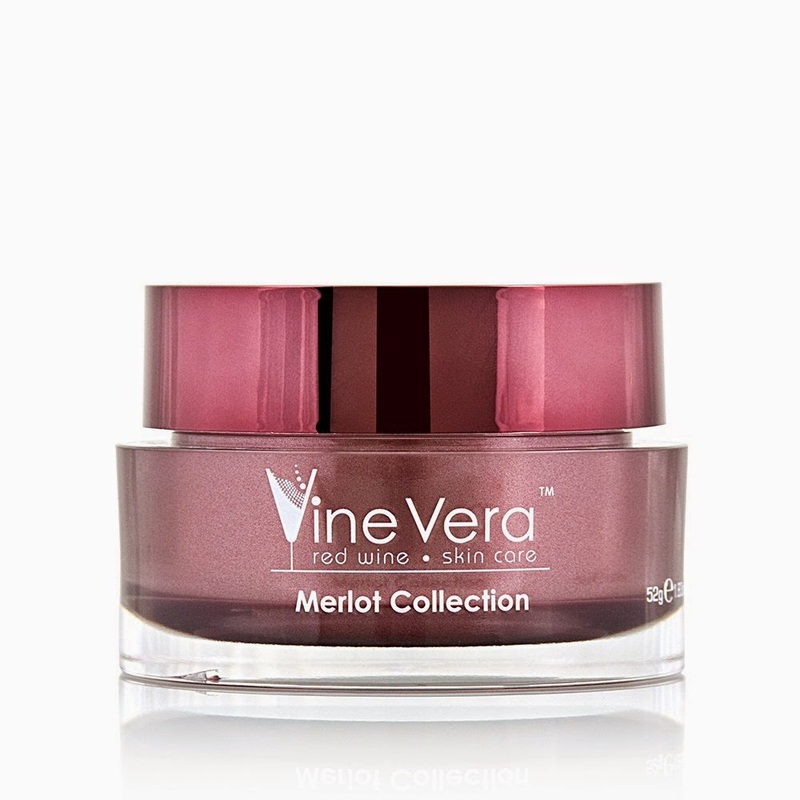 You can find Vine Vera Resveratrol Merlot Moisture Day Cream at www.vinevera.com for $146.00. The Contributor has no connection to nor was paid by the brand or product described in this content. No part of this blog or of any of the items posted at this blog may be reproduced, stored in a retrieval system, distributed or transmitted, in any form or by any means, without prior written permission from Philippa Lane.